As New Year resolutions go, a commitment to conquer an incredible feat that only a few hundred others can claim puts a new gym membership and a few alcohol-free weeks firmly into perspective. 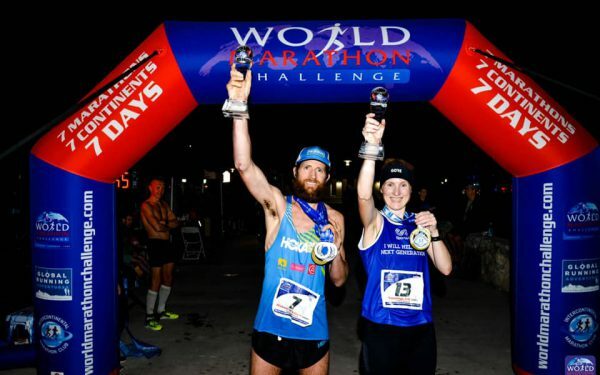 Emerging from seven marathons across seven continents in as many days, and as overall women’s winner and new world record holder, no less, racing’s Susannah Gill has pushed herself to the absolute limit and her beneficiary charity SportsAid to the fore. 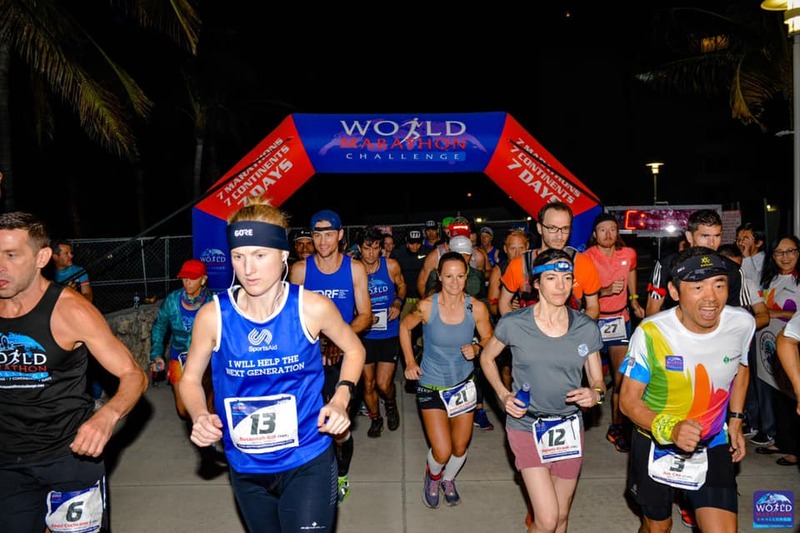 7 races, 7 continents, 7 days….and one World Record! As I said in part one of this blog – that seems a long time ago – I knew that taking on the World Marathon Challenge was going to be a unique experience, but it’s turned out to be more special than I could have ever dreamed. Along the way I met some truly amazing people from dozens of countries; of all ages and with all sorts of reasons for wanting to take on this challenge. We had some tough times, but everyone succeeded, which is the most important thing – we all go home as successful World Marathon Challengers. I could write about my experiences for hours but if I was to pick out a couple of highlights they would have to be the moment we all landed wide-eyed in Antarctica with the first race ahead of us. This feeling was only matched – and for different reasons – by the wonderful pizza the race organisers got us in Santiago in Chile, which we all enjoyed at 5am in the main park in the centre of the city after another 26.2 miles of running. My motivation to support the charity SportsAid and future generations through the power of sport drove me on to perform the best I could, in a sport I love. Enjoying any sport brings benefits to us all and if my challenge might help encourage young people to follow their own and be inspired then this just adds to my incredible experience. The support I have received from family, friends colleagues and across social media has been immense, along with the very generous donations so many have made to my Just Giving page. I’m about 40% ahead of my initial target, which is down to so many people across racing and elsewhere. I can’t thank everyone enough – it really did help keep me focused, especially on the seventh marathon in Miami when I was running on fumes but knew I could not stop! A final thank you to everyone who helped me to make it to the start line and to all the other runners who shared my wanderlust and put one foot in front of another during our unforgettable global whirlwind. It’s not too late to donate, you can find Susannah’s fundraising page here. Susannah’s blog: part one can be found here, and SportsAid’s website here.